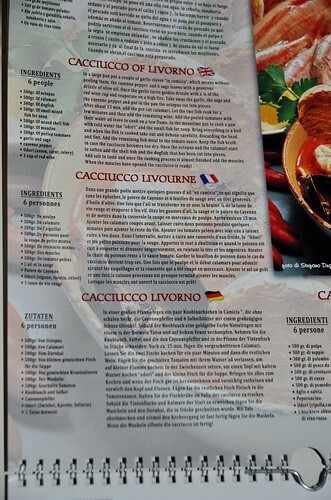 We've found a lovely new cake - I'm sure it's no great for the figure but if you speak Italian - give it a go! Playing Ludo, a photo by PhylB on Flickr. 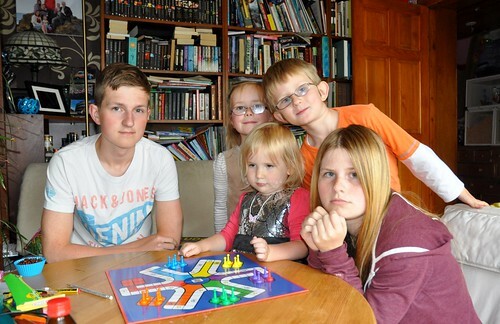 It was raining so the kids decided to play ludo. I had to marvel at Léon's logic. He was playing just with Charlotte at that point. One of the purple men was missing. 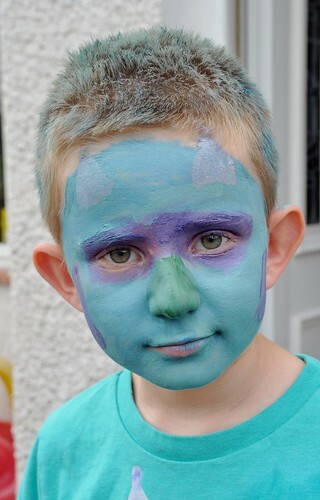 He wanted to be purple and Charlotte blue so obviously he had two solutions - either they could each play with three men, or he could take say green and play three purple and a green against her four blue. Oh no! That would be way too simple. I walked in in time to hear him explain that he would take three purple and a blue and she could have three blue and a red and he would just keep his eye on his blue one as it went round the board so as not to get it mixed up with any of hers! Mind boggling! 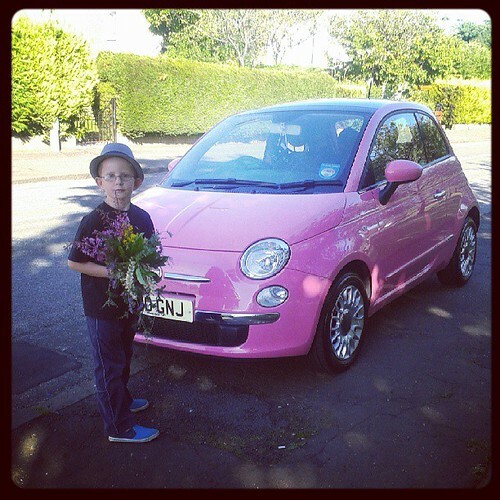 Wow - I thought the pink one was impressive. And I loved the metallic lilac but if I start seeing these on the roads, I'll simply have to buy one! Outside, a photo by PhylB on Flickr. 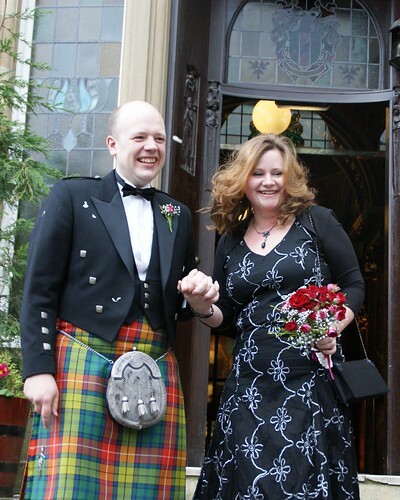 I was saddened to hear yesterday that the iconic Glasgow Registry Office where Thomas and I married was shutting down. It's sad to think no one else will have the same wonderful memories as we have and we'll never be able to take Amaia back and show her where it all happened, given she was the only one of the kids who wasn't present. Park Circus was wonderful, meaningful and it a beautifully religion-free zone. It was intimate and spontaneous and everything I had hoped for. Looks like the BBC liked it too! 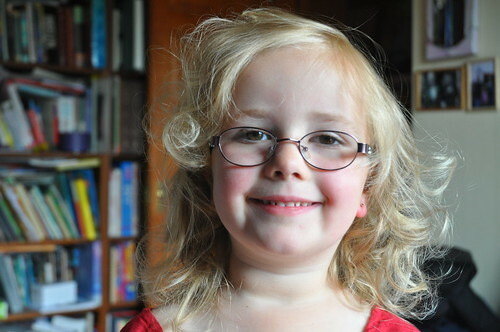 Curly hair, a photo by PhylB on Flickr. Sure Lots is so silly - she sometimes wears shes trousers even when it is so sunny. Not like we - we wear wes dresses in the sun and wes wellies in the snow! I know I need to start correcting her - but it's just so cute! The scenario wasn't drastically different. 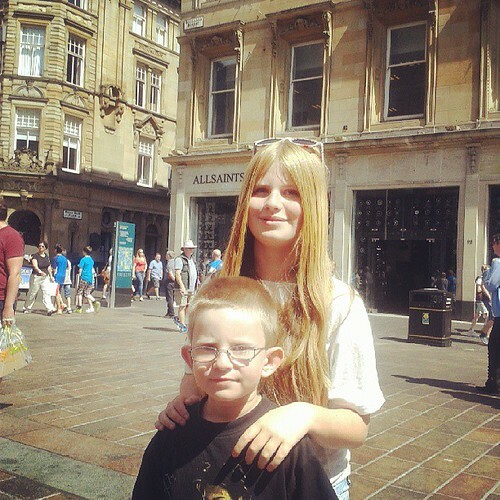 I was about the same age, my baby was born the same week, albeit 16 years ago, weighing more or less the same, same gender... but he was born with something much more precious than that child down south. He was born with freedom... the freedom to be what he wants to be, to believe what he wants. He can marry who he wants, choose a job that interests him as a person, he can interrail round Europe and lie on a nudist beach and no one will care. He can be an atheist, or he can take on any religion that takes his fancy. He can fly round the world walking in any city that takes his fancy and see what it is really like. He will know when he makes a friend that that friend truly is interested in him and not his perceived status. He doesn't need to sign up for Big Brother unless he turns out to be an attention-seeking extrovert. He will not spend his entire life on a world-wide Big Brother. This week I have heard two extremes - adoration, which I don't understand because he is just a baby, like every other one, and venom calling for the crowd of spongers to be thrown out. I feel neither... I feel pity because he was born with his whole life already decided, and to me freedom is a sad thing to exchange for these meaningless privileges. You know mummy, she ventured, I just can't wait till I grow up to be a teenager so I can wear the kind of clothes that don't fit! I must have looked blank or at least surprised because she elaborated: You know, teenagers like to wear t-shirts that are too small for them so you can see their belly buttons! Oh my lord! This one is going to be a trendy little handful! I got a bit of a fright today when I backed straight into this in the sea and got it tangled round my leg. Of course once I'd extracted myself it was too pretty not to photograph! 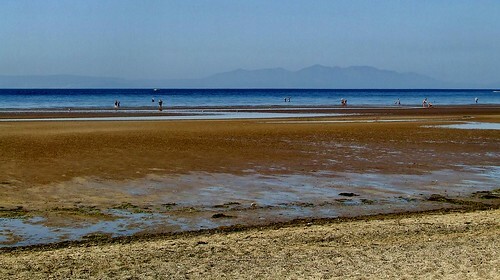 Troon for the second time in 7 days!, a photo by PhylB on Flickr. I remember once as a child going to the coast with a friend from my primary school class. Her parents lived very near mine and some how I got invited along with her and her younger brother. 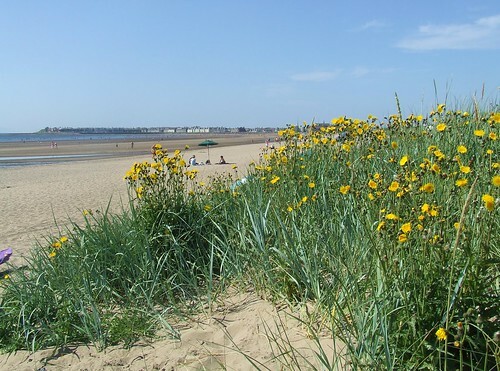 I remember walking through long grass and over a small dune to reach the beach. I even remember yellow flowers. I have often wondered where that beach was but as the friend in question died last summer, I can no longer ask her. I had ruled out Ayr and Prestwick and I know it was nearby so I am beginning to suspect it was South beach at Troon. Although I have been to North beach at Troon a couple of times in recent years, I don't think I was ever on South beach till today so it's nice to finally put a name to a distant memory from the mid-70s at last. Léon asked me today if we could buy this house in Troon if we win the lotto at the weekend! It looks about the right size for us... and I didn't have the heart to tell him I don't play it! 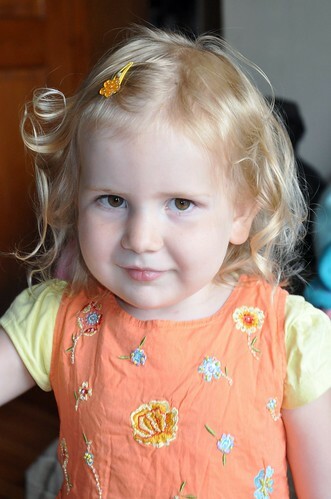 I know she's half Danish, half Scottish but Anna is in some ways a very German child. 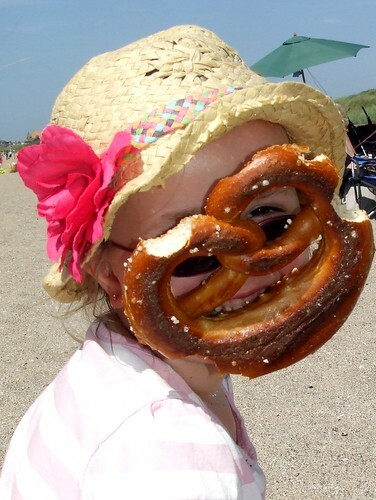 She'd live on German sausages and pretzels if you'd let her. It's a shame she's never met most of her German relatives. Although her grandfather is German, he spends most of his time in Denmark or Italy so she only ever visits him there which means she's only met two of his many, many siblings. Just imagining her touring round them all eating their food brings a smile to my face. I think they'd think she was a perfect little girl as she would happily taste everything they had on offer! For more than 25 years I have dreamed of escaping Scotland because I find the climate thoroughly depressing. The first couple of days of the holiday saw the thermometer hit a balmy 9 degrees. I was ready to jump off the nearest bridge and put myself out of my misery! A week later though it shot up to the high twenties and has been there ever since. We haven't had a single meal indoors in three weeks now and we're living the life I loved so much from my years in France, Italy and Germany. Thomas and I have been trying to take two days out of work a week to run the kids to the coast on day trips to compensate their non-holiday this year and my evenings after dinner are still spent in the garden. I'm suddenly realising that the issue is all climate. What I miss living here is that outdoor life you have in continental Europe. Now we have that here I am completely content. I'm actually liking Scotland for the first time in living memory. I hate being locked away indoors, eating indoors with the kids going stir-crazy. It is so much nicer to sit in the garden with a glass of wine at 7pm listening to kids jumping and splashing in pools in every garden in the street. Today I was wandering about Troon, even considering retiring there one day because it was so beautiful. Of course, given this summer is probably a one-off since 1976, I will quickly find myself terribly disappointed and start planning my escape to Europe again, as soon as the normal weather returns. But in the meantime, it is definitely helping me cope with my current dearth of holiday. 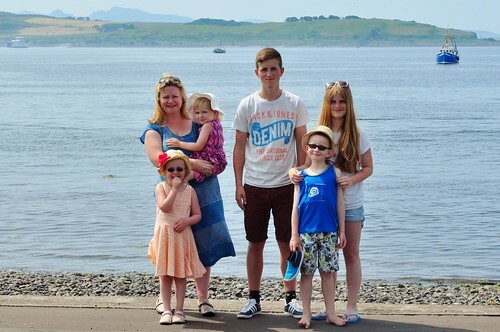 A day-trip to Largs, a photo by PhylB on Flickr. No one ever tells you at 18 that 45 year olds don't actually feel old! Nor do they point out that 45 year olds don't actually feel much different to how they felt at 18, because, after all, 18 was just yesterday, a blink ago. Of course, I have to hold my phone further from my eyes to be able to read it and when I catch my reflection in a full-length mirror I find it hard to recognize myself because my inner self has not caught up with my outer one yet! Deep down I am still the teenager who spent my carefree years Interrailing round Europe alone, freaking out my parents! It is therefore with an almost daily sense of surprise that I find myself walking around in this large group of people, all created by me and calling me mum! I almost find myself looking over my shoulder to see who they are addressing as that - it couldn't be little me, could it? But somehow it is! It is a great privilege. Happy gardener :-), a photo by PhylB on Flickr. 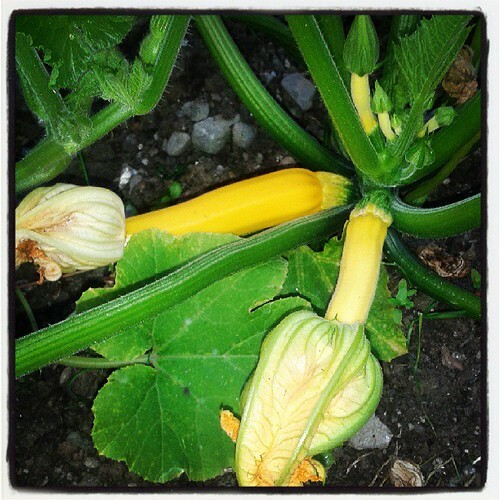 The first summer we moved to this house Thomas grew so many courgettes the kids began to wail at the sight of them. (I've since developed a soup recipe that uses them up for the kids). I was happy because I am a big fan of courgettes. I therefore made plans for my subsequent harvests. Summer of '09, '10, '11 and '12 saw a dismal yield of less than four courgettes in total. We tried the garden, the greenhouse but never managed to duplicate that first year. I was so hacked off with the Scottish climate dissolving my bloody courgettes that I had given up hope, but this year we seem to be on to a winner once again. There hasn't been so much rain they've disintegrated, it hasn't been so dull they haven't grown. We have conventional ones, round Tuscan ones, long yellow ones. We even have enough courgette flowers that we can sauté those! It is so exciting! If only every year was like this! 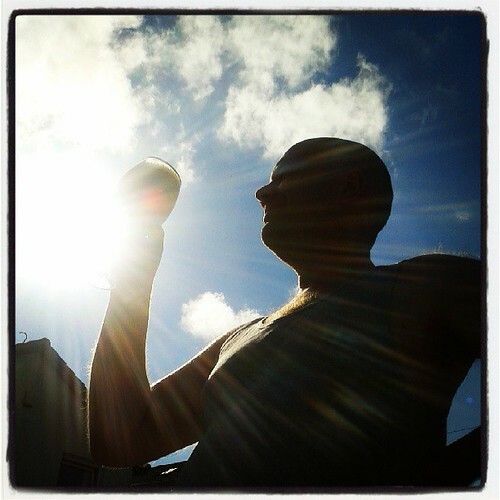 Am man and his beer, a photo by PhylB on Flickr. I'm not usually one to blow my own trumpet but I have to say I was impressed with my wee Instagram of Thomas and his homebrew today. Look at those sun rays! It's positively tropical looking. It is an altogether strange summer with the in-laws in Tuscany complaining of rain and wearing jumpers to sit out at night, just as we are basking in the best summer I remember since I was eight. For the first time since the summer of '85 we haven't booked a holiday - too much work in the summer coming after a winter of not enough has made holidaying a bit unlikely, at least before the autumn or winter. As I dragged my feet, depressed towards the summer school break-up, little did I know that Scotland was about to become a spectacular suntrap. 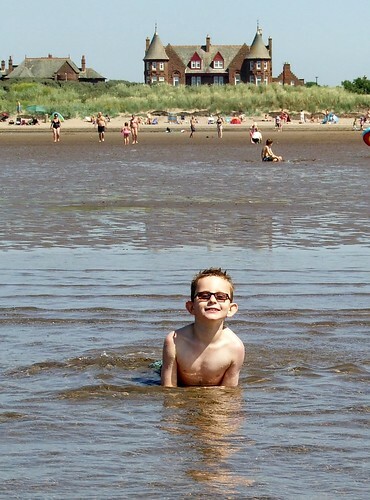 We've been trying to take the kids to the coast a couple of times a week, so they don't feel left out, and it's been as hot down there as my many summers in Cannes and Nice. What an unexpectedly pleasant surprise! If we were to get stuck home for one summer, it looks like we chose the right one! ... or is it always like this and no one's ever mentioned it to me because I'm always out of the country??? 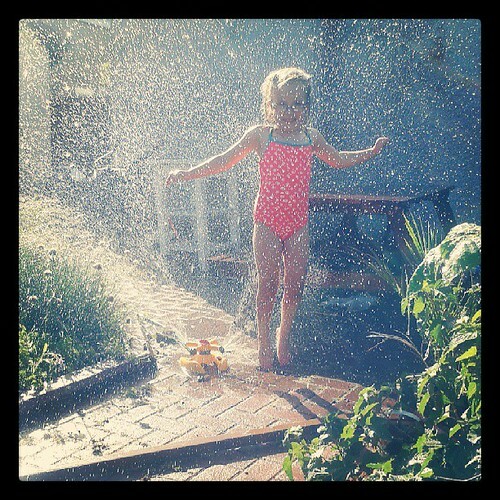 Sprinkler fun, a photo by PhylB on Flickr. Sometimes the simplest things in life leave the most lasting memories. I remember as if it was yesterday jumping through a neighbour's spinkler back in the summer of '76. Their daughter was three years younger than me but I remember playing with her most of the summer (secretly to gain access to their sprinkler!) I longed for my parents to buy one but they never did - they weren't into gardening and they saw it as a gardener's accessory. I've had one for years but it has generally been used to water my greenhouse while I'm on holiday but today my three youngest (plus four neighbours aged three to seven) spent hours running through it, squealing with joy. Just as I remember '76, I expect mine will remember July '13 when they are 45. Parked on front of my house. .. Have I forgotten my birthday? !, a photo by PhylB on Flickr. Someone has parked this in front of my house all afternoon - how thoughtless - I am sitting here drooling! Isn't it just beautiful? Léon and I found it when we went out to pick some wild flowers - if it is still there in the morning, I might just have to put it on my Xmas list! Buchanan Street, a photo by PhylB on Flickr. Charlotte is a complex person. She comes across as shy and indecisive, quiet and introvert but behind the soft exterior are nerves of steel. It is exactly one week short of a year since she decided (completely unprompted by me or anyone else I hasten to add) to remove her father from her life. She cited the fact that they didn't get on and he had a tendency to treat her as if she was a mini-me. He assumed she'd instantly regret her decision and come crawling back, but he hadn't understood her at all. It seems she spent more than a year analysing the idea in her head and once she took her decision, it was completely irreversible in her mind. She has never been happier. She radiates calm and happiness and has done since that day. She's no longer tense and moody, instead she's become calm, witty, loving. Her every minute is spent enjoying her younger siblings, Amaia in particular from whom she is inseperable. She made absolutely the right decision for her and it is clear in every way. Today she surprised me again. We were in town. The weather was beautiful and there was a holiday atmosphere around the street cafés. Suddenly, unprompted once again, she asked me: "Take a photo of me in front of the Buchanan Street sign for when I change my name!" And then she grabbed Léon playfully and added: "And you might as well be in it too 'cause yours needs changed as well!" I am so proud of my strong little girl. Now there's an achievement! I was intending to take a photo of Lots making giant bubbles the other day, but I actually seem to have caught it at the instant the bubble burst. How cool is that? I've been a Flickr member now for more than seven years, storing in excess of 48000 photos on their site. In general, I have been very happy with my flickr membership. However, a few months ago they changed their interface and on the surface it looks more modern. It now gives a collage of photos rather than just a page displaying each one boringly as before. I quite liked it at first but then I started trying to actually use it... Now it is driving me nutty. Because they load every photo rather than giving you thumbnails when you click on a set or photostream, you waste inordinate amounts of time looking for anything and I sometimes find myself giving up and just looking elsewhere - through my home archives and the likes. I am now considering trying to migrate my thousands of photos elsewhere just so I can start accessing them again. I defintely think they need to introduce a speedier version or a classic view or a thumbnail search if they aren't going to lose a number of trusty users. In the meantime, I am away to testdrive Picasa. I didn't like it seven years ago but maybe it has impoved. I often think Amaia looks a little bit like a porcelain doll in photos. It's strange because she isn't particularly pale-skinned. Like all my kids, she has that continental darkness that means she never turns pink, just golden. Maybe it is the dark eyes, or the wispy hair... Whatever the reason, I think my baby is very beautiful! I was looking for a photo of my family holiday to Wales in 1980 when I came across this old one of me at ten. It suddenly struck me how different today's childhoods are. 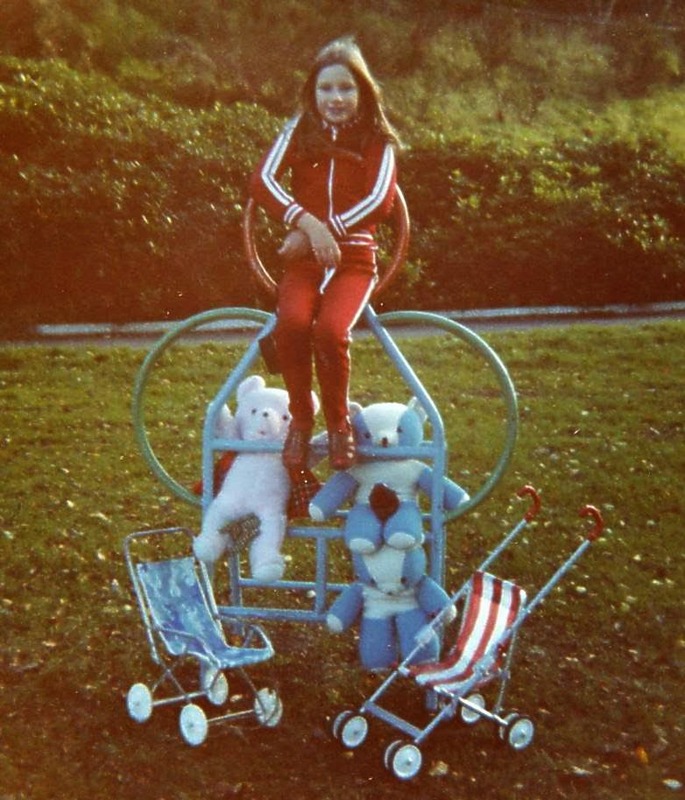 I still have the red doll buggy on the right - they don't make toys like that any more! But it is Amaia who plays with it, both Léon and Anna have long abandoned it, as they are too old - at 5 and 7, but I was obviously happy to take it out in public at ten. The other interesting fact I can deduce from the photo is that three of us had gone alone to the park up at what is now Newton Mearns Asda. I can tell this from the three bears. The top blue one was mine, the bottom blue one Derek's and the pinkish one, if my memory serves me correctly, belonged to my good friend at the time, Karen Heenan. So two ten year olds and a seven year old were allowed to wander that far from home with their teddies in tow! I'm not saying my kids are having a terribly different childhood. I try not to wrap them in cotton wool and smother them. I let mine make coffee, and cook, chop things with knives, take buses alone, walk into school unaccompanied and so on but I am definitely in a minority. 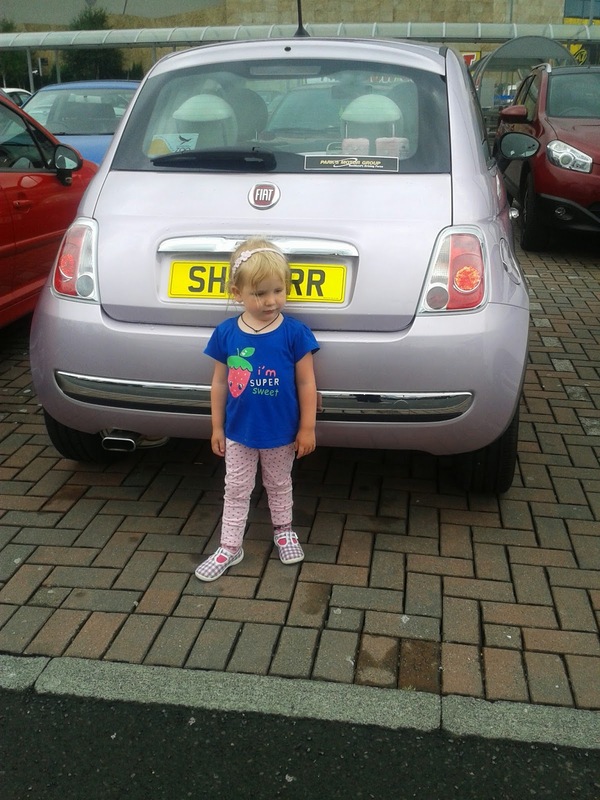 When I think back a few summers Charlotte probably did go alone to Asda once or twice at around that age, though not with a teddy, more likely with an ipod! But when I see how many parents refuse to let their kids out of their sight these days, I do fear for the generation to come, who will suddenly find themselves alone for the very first time, the day they leave home. How will they even begin to know how to make the right decisions in life if all they have known till then is trips accompanied by adults, organised play dates, class parties and after school activities such as swimming or gymnastics - all with their personal parental chauffeur? Amaia used to be into Mickey Mouse - she's not watched him recently but she did go through a phase. I presume a fox is to blame, but I really didn't need to find that on my neatly-cut grass. I'm hoping its head and leg aren't lying about somewhere I am intending to weed this weekend. Gulp. Anyway, we decided to take it to the local vet and see if it had a chip in any of the remaining bits and if not assume that if it has been lost in the vicinity, the owner might ask there. I'll look out for any missing cat posters too over the coming days.